From your Incoming Email account, open the Login Email from Technical Support. This contains your account login information. Enter your Transaction Center ID, username and password. 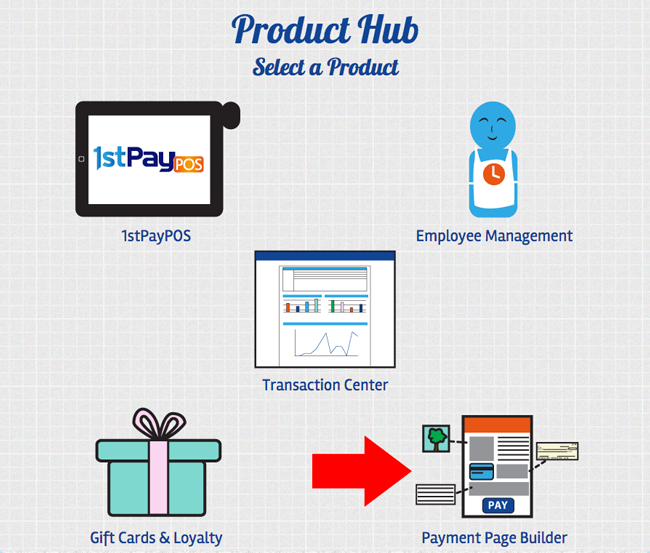 You will be brought to the Product Hub. Select the Payment Page Builder. If you're already logged into the Transaction Center, you may also access the Payment Page Builder from Main Options Payment Page Builder. In the top banner image, there are 2 buttons: Accept Payments and Take Donations. 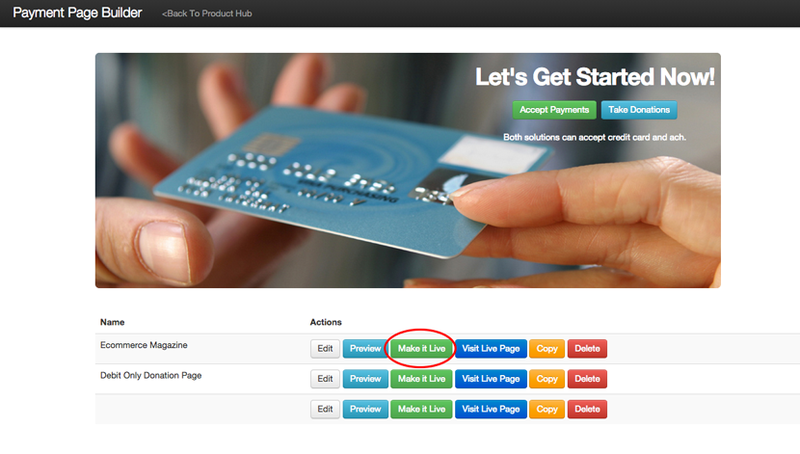 If you'd like to create a payment page, select Accept Payments. If you'd like the page to be a donation page, select Take Donations.